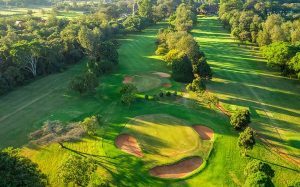 Karen, Nairobi (Kenya) — January 28, 2019 (travelindex.com) — The Kenya Open Golf Tournament, with prize money totalling Euro 1.1 (Ksh 126 million), is now part of the European Tour. Top Golfers from all over the world will play it out at Karen Country Club between 14 and 17 of March for the biggest Prize Kitty in East Africa. Live international TV coverage on all the four tournament days will make the Kenya Open a great promotion for Kenya as a superb Golf Destination. Tobs Kenya Golf Safaris, Travel & Events – since 1991 — has developed a promotion around the Kenya Open to order to improve overseas interest for Kenya as a superb Golf Destination even more.